Each SoundBar is given an overall rating based on Design, Sound Quality, Features, and Value. 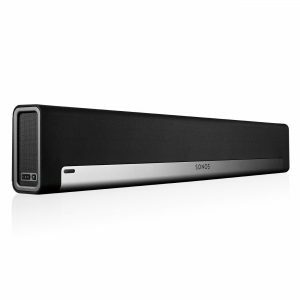 The Sonos Beam soundbar is a very affordable soundbar that features voice control and HDI connectivity. 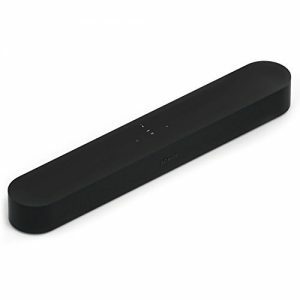 It is 60% smaller than the Sonos Playbar and is constructed from plastic with a cloth grill. The microphone works really well with Alexa voice assistant and at the moment this is the only compatible voice assistant, but it will be compatible with Google Assistant very soon. Because the system uses HDMI-CEC you will be able to turn your system on/off by just using your voice. The soundbar is HDMI connectivity only so there are no other audio inputs. This might be a turn off for some. 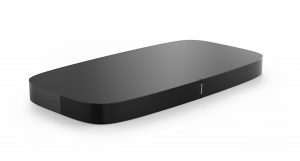 The Sonos Beam delivers a very wide soundstage that you won’t get from other soundbars in its price range. The sound it’s very impressive with clean, clear detailed audio with deep bass. Being a Sonos speaker you can always add a sub and a pair of Sonos One to get more surround sound experience. 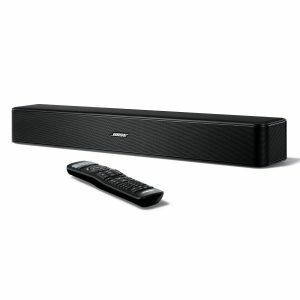 This amazing sound bar system by BOSE will revolutionize your TV audio system and take it to the next level. 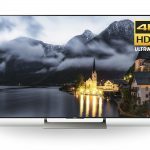 Its features HDMI connectivity, 4K pass-through that will help enable you to enjoy your music, TV shows, and movies. 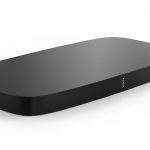 It also features wireless connectivity with NFC capabilities and WiFi technology so you can constantly stream your favorite music wirelessly from devices like your smartphone and tablet that are either Bluetooth enabled or WiFi enabled. If you look for a Sound Base speaker system that is highly portable and does come along with various stand-alone speakers, then this SONY HTXT 2.1 is what you need. This Sound Base is a single speaker system with a built-in subwoofer allowing it to easily fit underneath your TV. Its Bluetooth technology eliminates the cumbersomeness of having to rely on cords for connection. You can easily play your music wirelessly via Bluetooth using the Song Pal app and stream music online via your smartphone. 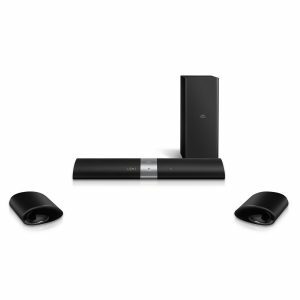 If you need to enhance the sound system a room you can easily add other SONY compatible speakers via Bluetooth. The AmazonBasics 2.0 Sound Bar is a really great sound bar if you’re on a really small budget. With the expensive prices that most SoundBars carry, the AmazonBasics 2.0 is a cheap and awesome SoundBar that delivers a clear balanced sound that’s better than most speakers but it’s not as powerful as most. It’s a 32 inches Soundbar that’s designed for TV’s Less than 42-inches. It has 3 sound modes for different for kinds of sound dynamics, a MOVIE mode that will give you the most dynamic sounds, a STANDARD mode for regular TV viewing, a NEWS mode that places the emphasis on dialog. The AmazonBasics 2.0 also has a Bluetooth speaker at the top of the Sound Bar so you will have no problem listening to music and podcast from your phone or tablet. The AmazonBasics 2.0 is a wonderful cheap soundbar for the person on a tiny budget. This Small attractive little speaker is an excellent soundbar for smaller TVs. Its small size makes it very easy to be tucked away just about anywhere you like. Its very loud and there’s an extra dialog mode to make speech sound much clearer than most sound bars in its price range. The Bose Solo 5 has a single elegant design that will blend in to just about any living room. It can connect via Bluetooth and also has a very versatile universal remote so you’re able to control the TV, music and your connected devices. 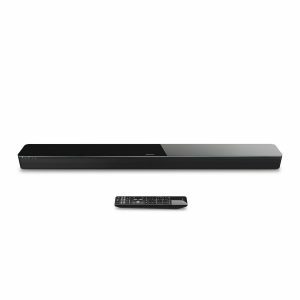 This sleek and robust looking Sound Bar was designed to deliver powerful audio for a 3rd of the cost of more expensive Sound Bars. The M4 can be attached to TV’s or subwoofers to provide exceptional sound quality, especially when watching movies. You can pair the M4 via Bluetooth and stream music from any device. It has BMR drivers that deliver outstanding sound quality, awesome and powerful bass combined with excellent sound control technology. The Q Acoustic Sound Bar is a brilliant Sound Bar that’s made for an audience that can’t afford high-end speakers but still want a product that delivers high-end performance. 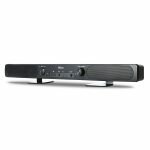 The Sony HTNT 5 is a mid-range Sound Bar that provides quality audio with great looks and aesthetics. It’s wide and slim design is a good fit for large TVs. It has super tweeters with gold rings and middle range drivers which provide a touch of elegance to the overall design. You can also use the HTNT 5 as a room sound system through wireless integration through the Sony app or the Play Store. The HTNT 5 provides quality audio with brilliant sound definition and clarity, it also comes with a subwoofer which adds to the overall experience with strong bass. 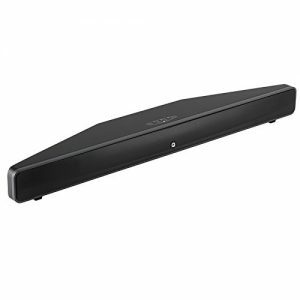 The Sony HTNT 5 Soundbar is a really good product for those who like to spend their days listening to music and want their experience and want to experience the subtleties of the notes there listening. The Philips Fidelio B5 is the most versatile Soundbar out there. It can go from a standard Sound Bar, to twin detachable speakers that you can put anywhere around the house. The Fidelio B5 is a dynamic product that will quickly adjust itself to the surroundings in which it’s placed. 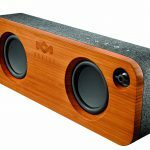 The speaker provides a holistic range of sounds dealing with both highs and lows while the accompanying wireless speakers provide depth and sound delivering a wonderful cinematic experience. The Philips Fidelio B5 is for those who want a Soundbar that not only offers great cinematic sound but also acts as an able sound system for long drives, road trips, and parties. 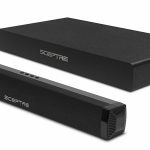 This elegant looking soundbar is pretty animpressive all in one soundbar. 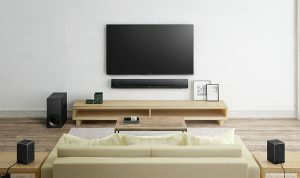 Your able to connect this awesome soundbar to your Samsung TV via WiFi, Bluetooth and also HDMI port for more sound options. 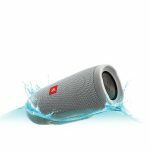 The sound quality is excellent, it delivers a very powerful and bassy sound so you don’t need to add a subwoofer to get that added bass. You get very consistent excellent audio quality no matter where you sit. Because the MS650 is highly connective you’re able to stream your favorite music from your phone or tablet by using the Samsung Multiroom app. If you don’t want to use the app it comes with a remote that will handle most of the Sounder’s functions. If you’re looking for an excellent and affordable all in one sound experience the Samsung HW-MS650 is a great option. If you have any questions about these or any other product please comment below I would love to hear from you.